According to Google, 71% of consumers say they are more likely to do business with a company if it has positive reviews, and businesses which have positive reviews have 360% more clicks to their site from their business listings. As part of its efforts to help small businesses get the most out of Google, the company has created a new tool that businesses can use to generate free marketing materials. 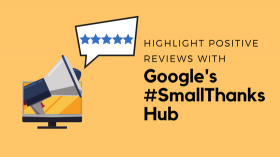 With Google’s #SmallThanks Hub, any business which has a verified Google listing can create marketing materials which highlight their positive reviews and encourage people to review them on Google. The tool automatically generates images that include quotes from positive reviews or a message encouraging customers to show their support by leaving a review or sharing a photo. If you have been in practice for any length of time, you are probably aware of many of the awards and distinctions available to attorneys from various groups and organizations. In fact, you may be able to name a few of them right off the top of your head: SuperLawyers, Top 100 Trial Lawyers, The Best Lawyers in America, American Board of Trial Advocates, and the American Academy of Matrimonial Lawyers. In addition to awards, organizations like Avvo also provide a rating system, helping potential clients to identify which attorneys may be best suited to help them with their particular case. Each of the groups that offer attorney recognition awards maintains certain quality standards that a lawyer or firm must meet. In most cases, there is a full nomination and selection process that ensures that only the top percentage of practicing attorneys can qualify for the distinction. Earning a SuperLawyers recognition or an Avvo rating of “Superb” shows prospective clients that you are among the best in your particular area of practice. For the practicing attorney, it is all about the leads. No amount of traditional advertising or newly adopted social media marketing can completely replace the importance of referrals or viable leads as a means to increase a practice’s bottom line. With 87.7 percent of all American consumers turning to the internet to search for an experienced attorney, will they be able to locate you? With one quick click of a mouse, online legal directories can provide prospective clients with comprehensive and relevant information about a specific lawyer or firm. Participating attorneys benefit when prospective clients turn into current clients and current clients remain satisfied clients. 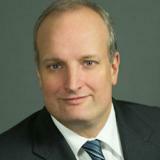 Inclusion in legal directories also creates more inbound links to to an attorney's professional website. Not only does this produce an increase in marketing efforts but it also provides effective online reputation management, drives traffic to the site, and ultimately elevates Search Engine Optimization (SEO) page rankings.